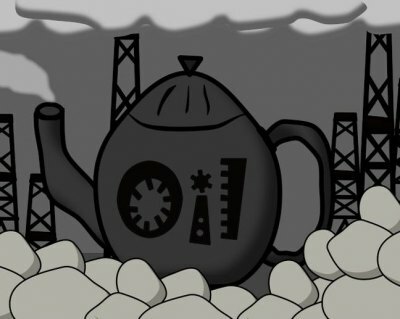 Home » Yesterday » What was the Teapot Dome Scandal? Fall was the central figure in the Teapot Dome Scandal during the early 1920s. Like the Watergate scandal five decades later, Teapot Dome involved government corruption.While Harding was not personally implicated, the scandal tarnished his presidency. He is routinely ranked among the worst American presidents. Oil: In 1909, the U.S. Navy decided to convert its fleet from coal power to petroleum, explains WyoHistory.org, a project of the Wyoming State Historical Society. Petroleum-powered ships had longer ranges, but military leaders worried about the supply of oil. In response, Congress designated “naval petroleum reserves” that would be tapped in the event of a national emergency. A growing market: As the 1920s began, the automobile industry was creating a growing market for oil. Harry Sinclair of Sinclair Consolidated Oil Corp. had “donated $1 million to Harding’s campaign and became a good friend of the new president,” according to an article about the scandal on the Constitutional Rights Foundation website. In May 1921, Fall, newly minted secretary of the Interior Department, attended the Kentucky Derby as Sinclair’s guest, the foundation website said. Another citizen with a vested interest was Edward Doheny, a California oil tycoon and founder of the Pan-American Petroleum & Transport Co. As it happened, Doheny also knew Fall. Fall makes his move: By the end of May 1921, Fall had persuaded Secretary of the Navy Edwin Denby to transfer control of the naval oil reserves in California and Wyoming to the the Interior Department. Suspicions: Leslie Miller, an independent oilman who would later become Wyoming's governor, spotted trucks with the Sinclair company logo hauling drilling equipment toward the Teapot Dome, recounts WyoHistory.org. Miller contacted Wyoming Sen. John B. Kendrick, a Democrat. Kendrick turned the question over to a Senate investigating committee. In April 1922, readers of The Wall Street Journal learned of an “unprecedented secret arrangement in which the secretary of the interior, without competitive bidding, had leased the U.S. naval petroleum reserve at Wyoming's Teapot Dome to a private oil company,” according to the U.S. Senate website's article on the scandal. Soon a Senate investigation was underway. Wisconsin Republican Sen. Robert La Follette’s office was ransacked after he arranged for the Senate Committee on Public Lands to investigate the matter, the Senate's website recounted. The investigation uncovered payments of $200,000 in Liberty bonds to Fall and his family from a company organized by Sinclair and others involved in the lease; Doheny sent $100,000 to Fall as a “loan” that had not been repaid, according to the Britannica account. The Calvin Coolidge Foundation gives a higher figure for Fall's take: a total of $400,000 by the end of the investigation. The heat is on: Fall resigned on Jan 2, 1923. Later that year, on Aug. 2, President Harding, 57, died while touring Western states with his wife. One day later, Vice President Calvin Coolidge, vacationing in Vermont, took the oath of office. The leases were canceled as the result of a Supreme Court decision in 1927. The Teapot Dome scandal, along with another subsequent Senate inquiry, triggered court cases “testing the extent of the Senate's investigative powers,” the Senate website said. The scandal eroded the confidence of Americans in their government. The American Heritage Dictionary lists "Teapot Dome" as "a symbol of the governmental scandals of the Harding administration." Fall was eventually convicted of taking bribes in exchange for oil leases. He was fined $100,000 and sentenced to one year in prison. He served nine months, according to Life magazine. Denby was cleared of charges but resigned in the aftermath of the scandal. Sinclair was cleared of giving bribes to Fall, WyomingHistory.org recalls, but he was sentenced to nine months in prison for contempt of Congress and charges that he had hired detectives to follow jury members during the bribery trial. He served six months. Doheny was acquitted. In a letter to his son in June 1924, famed attorney Clarence Darrow summed it up this way: "That Fall deliberately sold government property for a personal consideration is not disputed. He received at least $100,000 from Doheny for turning over government property to him while he was Secretary of the Interior. ... There can be no kind of doubt about the facts and that it does not arouse the country, shows that the country has lost all sense of decency in regard to its officials." Another oil tycoon, Henry Blackmer, faced a congressional inquiry into Continental Trading Co., where he was a director, a 1949 report said. The company made $2 million through a paper transaction in which oil was purchased from one company and sold to another. Profits were used for Liberty bonds that were eventually traced to Fall. To avoid the investigators, Blackmer fled the country in 1924 and remained exiled in Paris, making his way to a Swiss estate during World War II. In 1949, at 80, he returned to face charges of income tax evasion. By that time, he had paid back taxes and penalties. He also paid $20,000 in fines, an article in the Chicago Tribune reported, but was spared prison because of failing health. Even so, he managed to live another dozen years, dying at 92. Calvin Coolidge Presidential Foundation: Coolidge Chronology -- Teapot Dome Scandal. Chicago Tribune, Nov. 3, 1949: Exile Blackmer fined $20,000. Constitutional Rights Foundation: The Teapot Dome Scandal. Encyclopedia Britannica: Albert Bacon Fall. Cornell University Law School: United States Supreme Court, MAMMOTH OIL CO. v. UNITED STATES, (1927). Life Magazine, October 10, 1949 (Google Books): Exile's Return; Homecoming of Oilmen Blackmer recalls ugly Teapot Dome Scandal. Ludington Daily News (Google.com newspapers), Sept. 22, 1949: Henry Blackmer returns to U.S. to Face Tax Count. Miller Center, University of Virginia: President Harding, key events. Miller Center, University of Virginia: Secretary of the Navy Edwin Denby. Miller Center, University of Virginia: Harry M. Daugherty. U.S. Congress, Biographical Directory: Edwin Denby. U.S. Senate.gov: April 15, 1922, Senate Investigates the Teapot Dome Scandal. University of Minnesota Law Library: The Clarence Darrow Collection. WyoHistory.org, a project of the Wyoming State Historical Society: The Teapot Dome Scandal. If you would like to comment, contact StudyHall.Rocks or like us on Facebook and tell us what you think.